A former lawmaker on Saturday said President Rodrigo Duterte’s support to the burial of the late President Ferdinand Marcos at the Libingan ng mga Bayani is not move towards change, but a major step back to the country’s dark history. “Meron sanang pagtatagpo sa kanyang panawagan na ‘Change is coming.’ This is not the type of change! 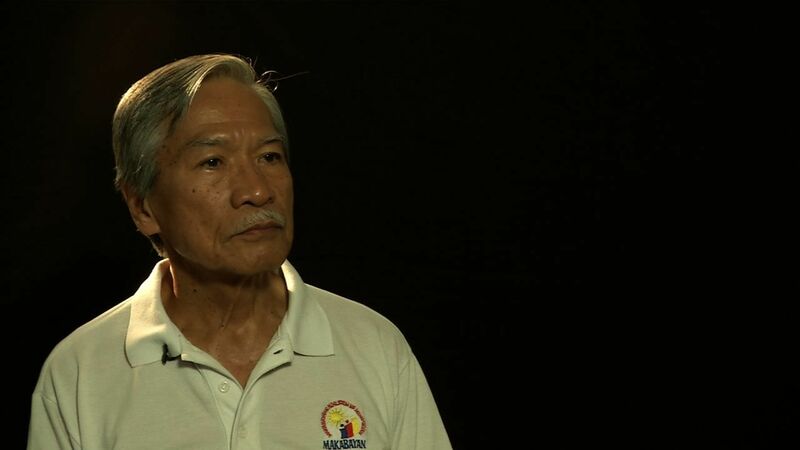 Ito ay pagbabalik sa nakaraan, pagpapanauli sa isang masamang panaginip, ng masasamang karanasan na dapat manatiling nakabaon,” former Bayan Muna party-list Rep. Satur Ocampo said in an assembly of Martial law victims, civil libertarians and progressive groups at the University of the Philippines Diliman campus in Quezon City on Saturday. The assembly was held a day after the surprise burial of the late strongman at the heroes’ cemetery. Voting 9-5, the 15 Supreme Court justices on November 8 dismissed the consolidated petitions seeking to stop the burial of the former president at the Libingan ng mga Bayani, which is backed by Duterte. Ocampo, a victim of Marcos dictatorship himself, is one of those who filed the petition against the burial. “Kaya itong kay President Marcos simply what is the law. The law is the law. That has no emotions at all,” Duterte said in a speech during the launching of the Pilipinong May Puso Foundation in Davao City on November 11. In the same speech, Duterte said the law does not specifically disallows people who have “a record of dictatorship” to be buried at the heroes’ cemetery. Being a soldier and president is enough, he added. campo, however, said these statements only show Duterte’s adherence to Marcos’ “rotten” values and political stance. “Ang takbo ng pag-iisip, political stance, mga mali at bulok na values ng mga Marcoses, tumagos sa pangulo ng Pilpinas, tumagos sa mayorya ng Korte Suprema,” he said. Sinusuportahan natin ang kanyang independent foreign policy. Pero dito sa usapin ng Marcos, tahasang magkasalungat ang paninindigan dito. Hindi natin matatanggap na ang pagbabalik ng mga Marcos,” he added. Despite the recent turn of events, Ocampo urged the public, especially the victims of Marcos abuses, never to stop fighting. “Kailangan natin gumawa ng counter-move sa iba’t ibang paraan para mapigilan. Dapat hindi natatapos ang labang ito. Kinakailangang hindi makapanibago. Hahamunin natin ang gobyernong Duterte,” Ocampo said.